The Great White North™ Winter Coat is designed for maximum warmth, durability and safety in mind. 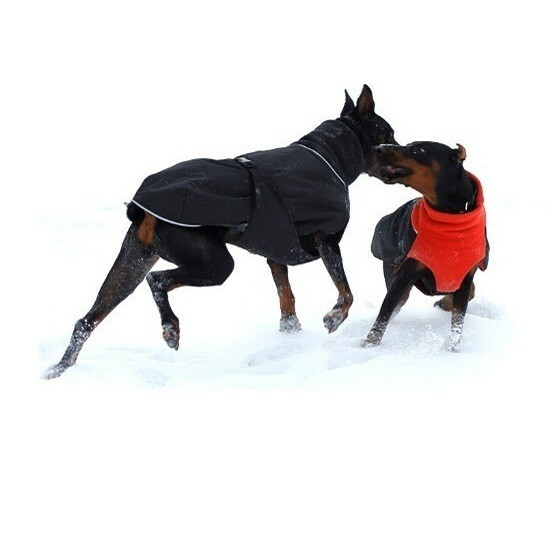 Function with flare makes this coat a must have for all short haired active dogs. All our coats feature an "Easy On, Easy Off" design. The coat is simply slipped over the dog's head then the "Y" shaped belly panel is pulled down and back between the front legs, then pulled up over the dog's back where the buckles are fastened and the webbing is adjusted. Skillfully designed and manufactured in Ottawa, Canada using Canadian materials. Manteau d’hiver par Chilly Dogs. Conçu dans une laine polaire antiboulochage, ce manteaux, lavable à la machine, est également recouvert d’une doublure en polyurethane 100% impermeable.